This was such a fun piece. It’s always cool to be able to do an illustration where you have to do some research into the story. Love this job. It’s also really cool when you find out that your illustration is in an issue of the magazine along side so many talented other illustrators. It’s always an interesting gig. 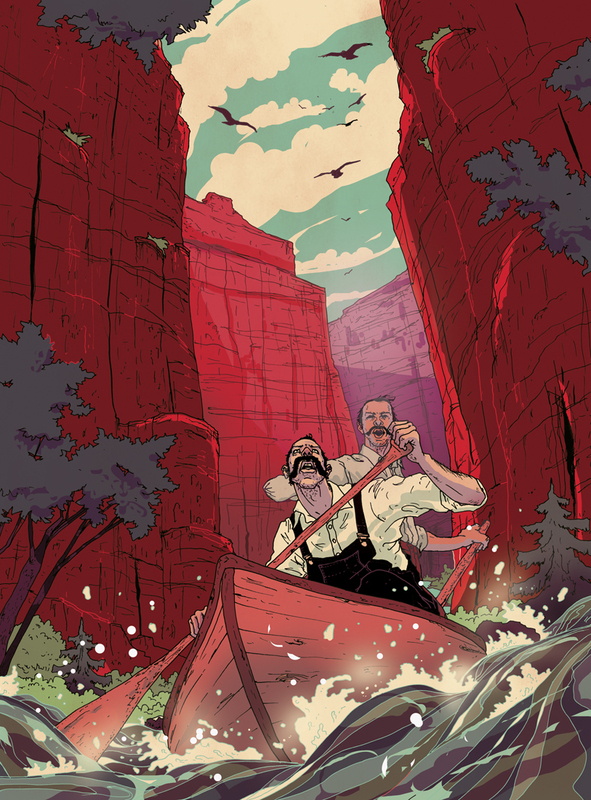 This one was about an adventurous trip down the Colorado River with John Wesley Powell in 1869. This entry was tagged adventure, history, Illustration, Men, paddle, people, river, Survivor. Bookmark the permalink. This is awesome! Love the lines and tone of color you’ve had made to this illustration! This is awesome! Love the detail and tone of your color! Congratulation! Big fan. I’m really lovin’ your work. Illustration for All About Beer Magazine. New illustration for The Globe and Mails Report on Business.